Do you want to increase the lifespan of your carpet? That’s a perfectly normal wish, given how expensive most carpets and area rugs are. There are numerous ways to increase the lifespan of your carpet, from rolling it up and never using it to using all sorts of strange remedies to try to make the fiber liquid-resistant. We think that there’s no need to ruin your carper by trying to clean it or to never use it at all. Instead, we ask you to rely on our services. We are a professional carpet cleaning company and we offer professional cleaning services at affordable rates. Call us and book our services and we’ll make your carpet look as good as new. We promise perfect results, just contact us and book our services. Our professional cleaning company was established in North London] more than 4 years ago. We specialize in carpet cleaning, because we understand how valuable your carpets and area rugs are to you. We want to help you protect your carpets and keep them as long as possible. You won’t find a better carpet cleaning company in North London than ours. We use our own patented 5-step cleaning method and, upon our clients’ request, we will use our SCOTGHGUAR Protector on your carpet, which will render the fiber completely liquid resistant. Our carpet cleaning service is complied of the following services: vacuuming with our professional vacuum cleaner, pre-clean treating stains and high-traffic areas, deep steam cleaning – hot water extraction, deodorizing your carpet, and finally – extracting up to 95 percent moisture from your carpet. Our carpet cleaning services are delivered by our team of certified cleaning experts. Our cleaning experts have more than a year of experience in the field of professional cleaning. Choose us and we’ll make your carpet look as good as new. 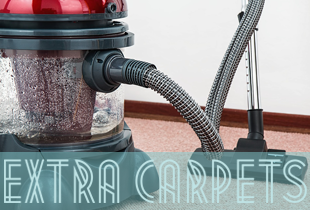 We’re based in North London and our carpet cleaning services have the best performance-price ratios. We promise perfect results. Contact us and book today. Copyright © 2019 Extra Carpets London. All Rights Reserved.